The waterfront dispute of 1951 was the biggest industrial confrontation in New Zealand’s history. Although it was not as violent as the Great Strike of 1913, it lasted longer – 151 days, from February to July – and involved more workers. At its peak, 22,000 waterside workers (wharfies) and other unionists were off the job, out of the country's population of just under two million. 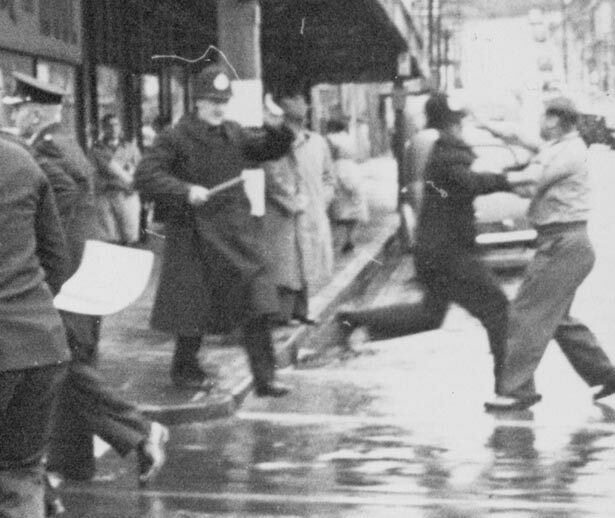 The 1951 confrontation was the culmination of decades of unrest on the wharves. The waterfront occupied a strategic place in New Zealand’s export economy and had long been a flashpoint of industrial conflict. This country’s two largest strikes prior to 1951 – in 1890 and 1913 – were both largely centred on the wharves. The dispute took place in a climate of Cold War suspicion. The opposing sides denounced each other as Nazis, Commies, traitors and terrorists. It polarised politics and split the union movement, leaving a bitter legacy that lingers to this day. The combatants could not even agree on what to call the dispute – the employers and government described it as a strike, but to the waterside workers it was a lockout. We have 2 events in history, 26 biographies, 12 articles, related to The 1951 waterfront dispute.